Sandy Park's Spring Wedding Fair, in partnership with Debenhams and the Bridal House of Cornwall, will take place on Sunday, 12th May 2019. 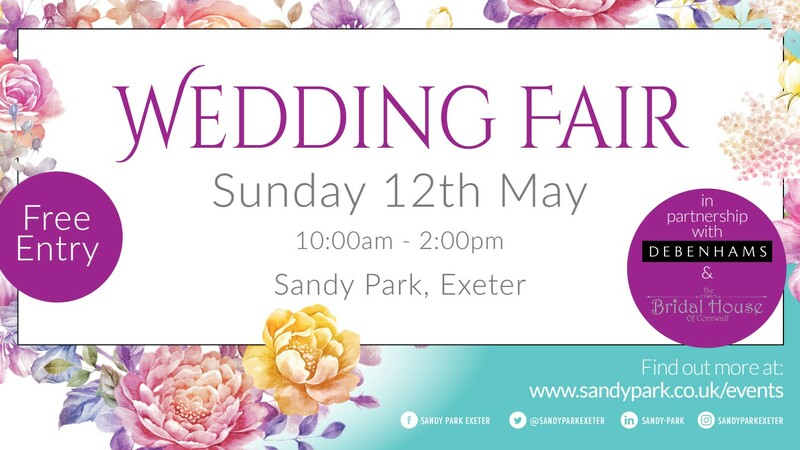 The Fair will be open between 10.00am and 2.00pm and brides-to-be can be inspired by some of the South West's best wedding suppliers who will be on hand to offer friendly, specialist advice on everything to make a Big Day special. For couples still on the lookout for venue inspiration, Sandy Park's Chiefs Suite will be decorated to provide some ideas for a civil ceremony and wedding breakfast.